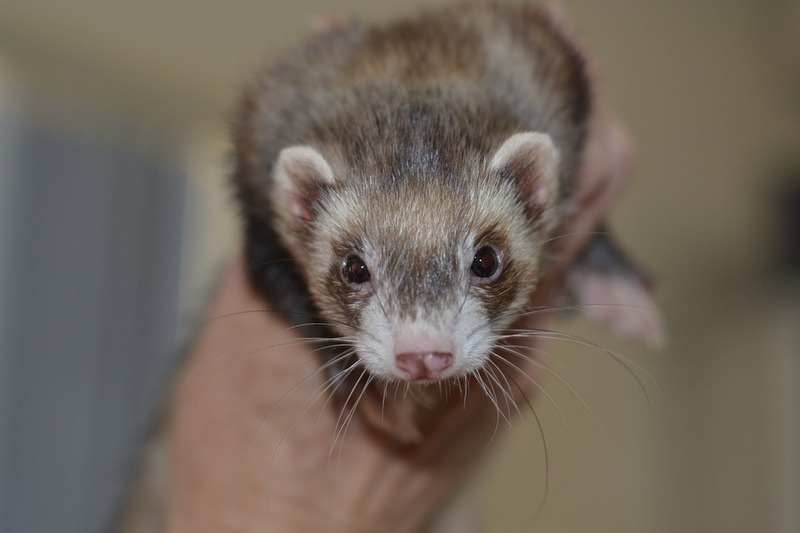 Ferrets can be a good first pet for older children to check if they are ready for the responsibilities that come with pet ownership and to see if they enjoy owning a pet at all. They are low maintenance, very gentle, and can live in pretty much any human environment. However, few people are truly aware of the pros and cons of owning a ferret and end up being disappointed as a result. In this article, we’re going to outline things everyone should know before they consider getting a ferret. If you have plenty of time to give them, and you have the ability to bond with ferrets, they can be great companions. They tend to be very inquisitive and friendly and are naturally very quiet. They are also very intelligent and love to play. However, they can get hyperactive during the day and can get into trouble sometimes. Since they’re very intelligent, they have no problem entertaining themselves when you’re not around. However, you should never leave a ferret in their cage for too long. You have to make sure that you let them out at least 4 times per day or they’ll get antsy. One could think that because ferrets are such small unobtrusive animals that they would be allowed everywhere but there are some restrictions on ferrets and similar animals in many states and cities in the country. For instance, in California, you’re only allowed to keep a male ferret that has been neutered. In Carson City, Nevada, it is forbidden to own a ferret if you have small children around the house. If you want to know the regulations in your state or municipality, then you should check with your local Fish and Game or Wildlife department to know what is permitted and what isn’t. While they may come cheaper than other pets, ferrets do have a fair share of costs attached to them. The average ferret will cost you between $65 and $250 for starters, but you’ll have to factor in spaying/neutering and vaccination once you get it. Vaccination, veterinary visitations and basic supplies will set you back another $150 to $350. If you want to save costs, you can however pick an older pet which has already been altered. Know that ferrets cannot be introduced into any environment without proper preparation. Ferrets can be very demanding for little children and might need adult supervision. If you have children under the age of 7, ferrets are not recommended. You should also know that ferrets are natural hunters, so they don’t get along with any type of pet. For instance, if you have lizards, rabbits, rodents, or small birds in your house, then they might not be compatible with your ferret. If you absolutely want to own one, then you’ll have to keep a close eye on them every time they step out of their cage. Ferrets can make awesome low maintenance pets if you can’t get a larger pet or simply prefer smaller ones. Their friendly nature makes them great companions and they are perfect for small households.